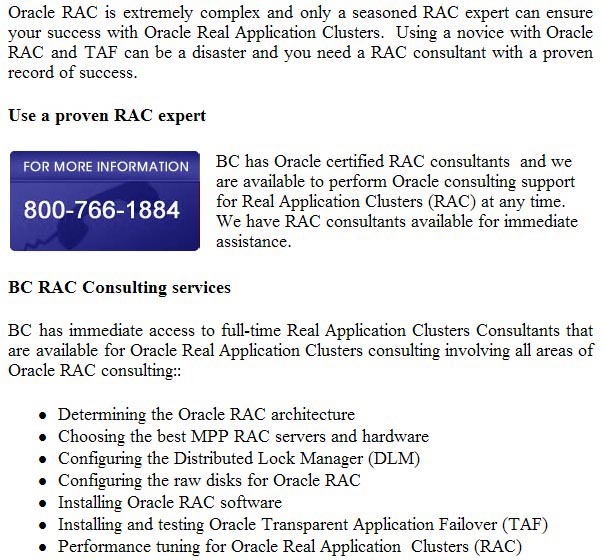 BC is the USA leader in Remote DBA Oracle RAC consulting and RAC support. We offer Oracle certified RAC experts to get your critical RAC database going fast. We also offer Oracle RAC support services, 24 x 7. Burleson Consulting has customized Oracle RAC Consulting and RAC support, including RAC emergency consulting and load balancing consulting.